IN THIS POIGNANT AND BREATHTAKING DEBUT, ONE MAN SEARCHES FOR MEANING IN THE WAKE OF INCOMPARABLE TRAGEDY... Karom Seth should have been in the Twin Towers on the morning of 9/11, and on the Indian shores in 2004, when the tsunami swept his entire family into the ocean. Whether it's a curse or a blessing, Karom can't be sure, but his absence from these disasters has left him with crushing guilt--and a belief that fate has singled him out for invincibility. Karom's affliction consumes everyone around him, from his best friend, Lloyd, to his girlfriend, Gita, who hopes that a trip to India will help him find peace. It is in Delhi that he meets Gita's grandmother, Kamini--a quirky but wise woman with secrets of her own. At first Karom dismisses Kamini, but little does he realize that she will ultimately lead him to the clarity he's been looking for. 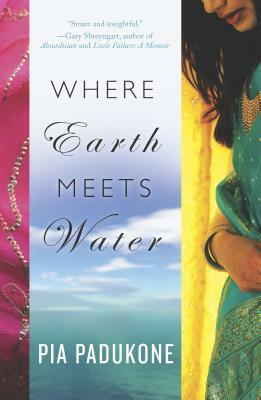 Spanning the globe from New York to India, Where Earth Meets Water is a stunning portrait of a quest for human understanding, and a wise exploration of grief, survival and love in all its forms.